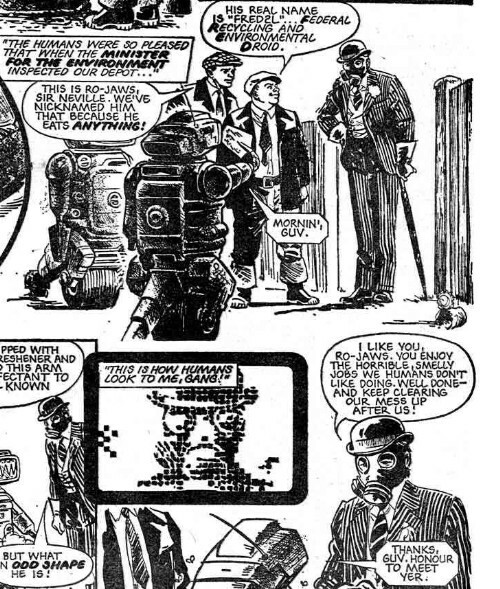 I’ve recently been reading comic books from the far distant past, specifically late 1978, and in this post I am looking at issue 93 of 2000 AD. To give you an idea of how long ago 1978 is, Jimmy Carter was president, and people were listening to Mull Of Kintyre by Wings. 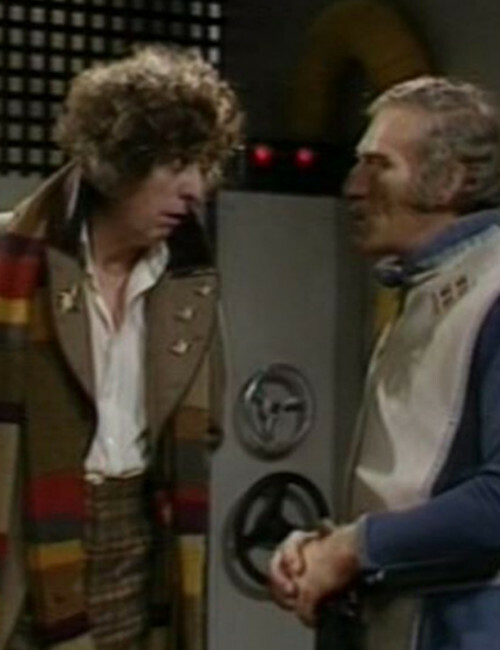 More importantly, on this very night, Saturday 30 December, 1978, episode two of the Doctor Who story, The Power of Kroll, was on TV. It was part of the Key to Time story arc which spanned the entire season. 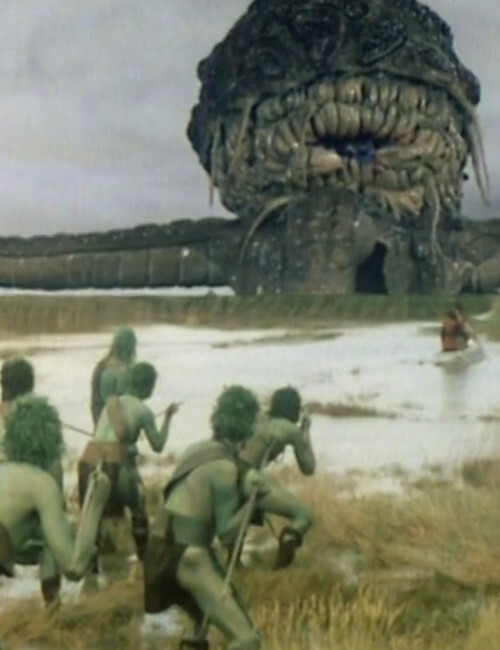 The star of this story is a monster of epic proportions, which worried many of the crew members, due to cost restrictions. It is set on the marsh moon of Delta Magna, where the indigenous population are fighting the crew of a chemical refinery. They intend to awaken Kroll, the giant god that lives beneath the swamps, to aid them. The Doctor and Romana arrive, searching for the penultimate segment of the Key to Time. The episode was shot in an area of outstanding natural beauty called the Snape Marshes and it just looks gorgeous. It’s not a great story, and I remember being less than impressed with it, even as a kid. 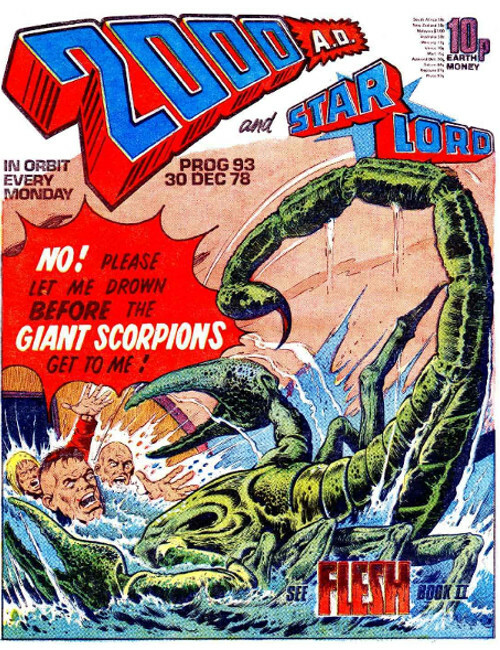 Anyway, enough about Dr Who, we’re here to look at 2000 AD, so first the cover. 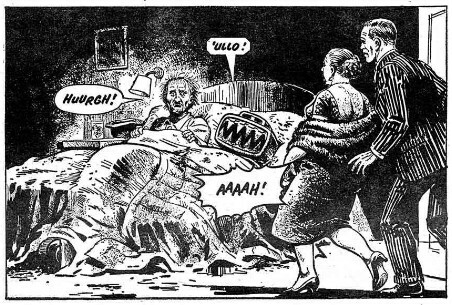 The cover of an issue of 2000 AD usually depicts a scene from one of the strips within, and this week it’s the turn of Flesh. I like Flesh, because of it's bloodthirsty attitude and it's commitment to its crazy premise of future farmers going back in time to harvest dinosaur meat on an industrial scale. Despite how much I like Flesh, my favorite strips have always been the ones set in the future, such as the first strip this week, Judge Dredd. It’s drawn by Brett Ewins, who isn’t my favorite artist, but this first page is impressive. This week’s episode is about Dredd instigating a rebellion against the corrupt dictator who has taken over the city, a Trump-like figure, and it seems to be working. The people have been mobilized, and Dredd has broken into a big store of weapons, ready to arm the populace. I know this plan isn’t going to work, though, because the coming next week box mention the Kleggs, and I remember who they are, from all those years ago. I can’t wait for them to arrive and crush Dredd’s nascent rebellion. The next story is Ro-Busters, usually about a team of disaster busting droids, but this week we are getting the back story of one of the robots. He’s one of the stars of the robot team, and he comes from a very lowly background. 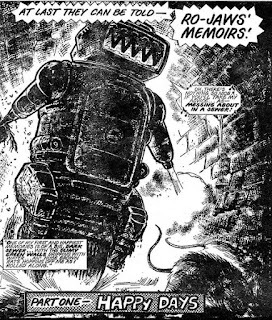 His memories of his time as a sewer robot, before being repurposed as a disaster robot, are well imagined and fun. This is just the first installment of them, there is more to come. My favorite part of this episode is where he meets the minister of the environment, who is wearing a gas mask and rubber gloves. Ro-Jaws breaks the fourth wall here. Too, chatting to us readers about how his eyes work. This all sets up a great joke later, where he considers himself a friend of the minister and gets sent to prison after breaking into his home. Ro-Jaws is just trying to help a homeless man he has befriended, and is genuinely flummoxed that the minister would not want to put the man up for the night so he can get out of the rain. 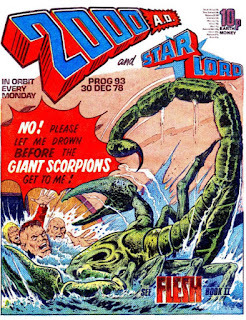 The next story is the one we saw on the cover, Flesh, and it starts with giant sea scorpions chasing a bunch of the time travelers. 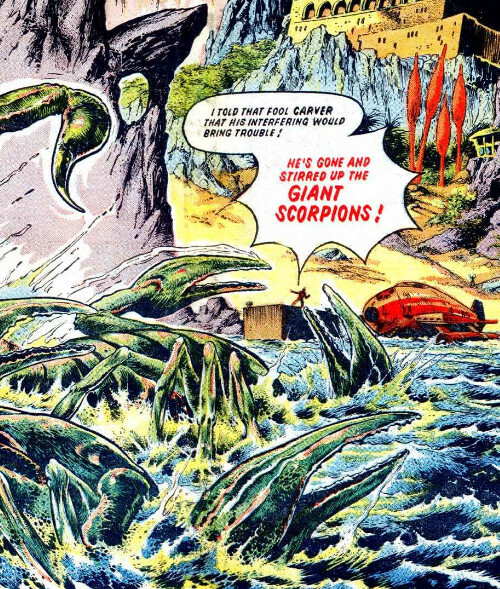 The strip continues on from there, with non-stop action, and a lot more time travelers being eaten by giant sea scorpions. 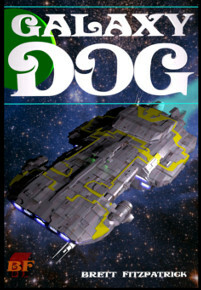 Next comes a sci-fi short-story with a twist ending. A bunch of people from the future open a time capsule and the germs entombed in there come out and instantly devour them. It doesn’t make any sense at all, but the last panel of the skeletons with the flesh melting off is well drawn. 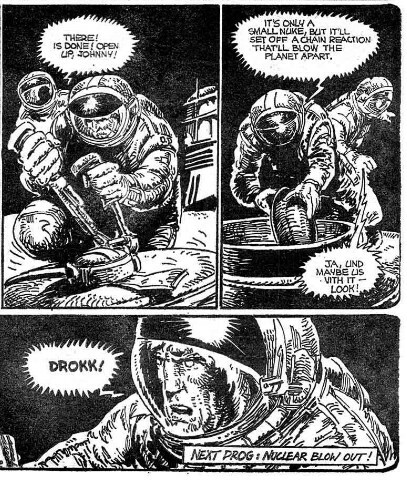 The next story is Strontium Dog, which is drawn by Ezquerra as usual. He is usually quite a dependable artists but the pictures look a little sketchy and rushed this week. They are still good, the man is so talented I doubt he could produce an actual bad comic-book panel, even if he tried, but these are definitely not to the usual standard. 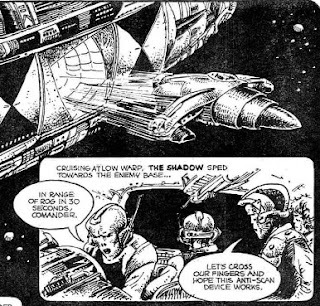 There are entire panels with just a word or two, and the spaceship Johnny Alpha is flying looks like a fat fighter jet. The writing isn’t great either. The whole plan revolves around Johnny Alpha planting a nuclear device inside a hatch cover, in order to blow up a planet in a genocidal act of murderous violence. 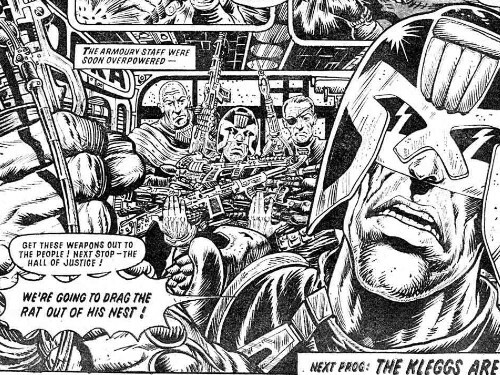 Maybe that’s why Ezquerra is phoning it in with the art this week. 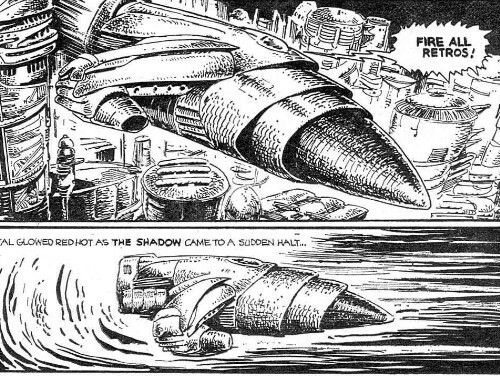 He creates much better art when the Strontium Dog stories are more small scale, like a sci-fi western. The last page has an advert for next issue that already has me salivating. 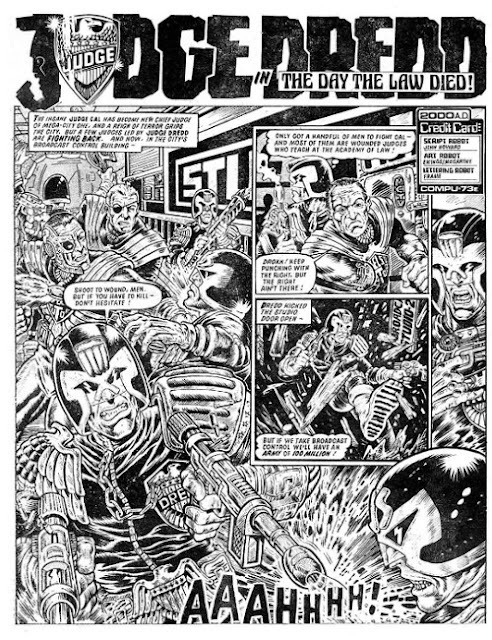 It shows the evil tyrant from the current Judge Dredd story as only McMahon can draw him. His hair gets crazier and crazier, just like the hair of the wood-be tyrant trying to take over the USA at the moment. 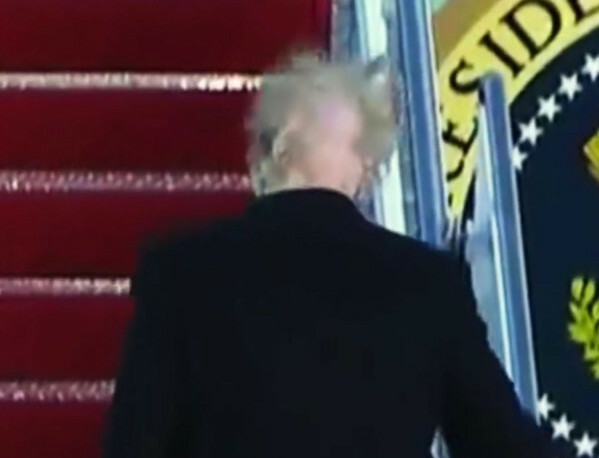 Here is President Trump boarding Air Force One as the wind whipped across the tarmac with unusual force. Trump usually has a MAGA hat for such occasions, but seems to have forgotten it. Hie long-concealed bare scalp below was briefly exposed to the daytime cable audience. 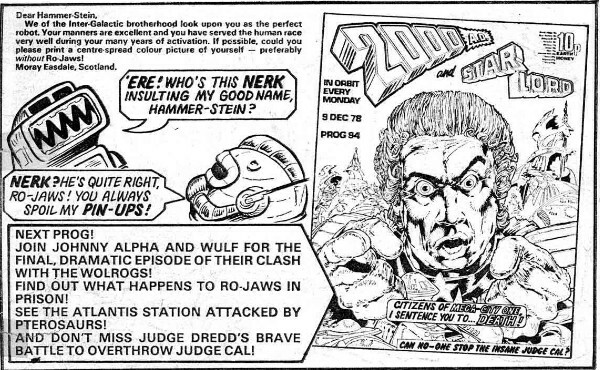 Judg Cal from the comic book seems to have the same hair style. 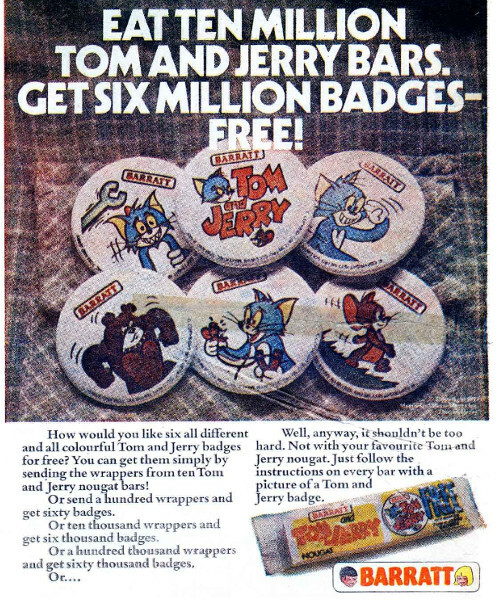 Finally, on the back cover, there is an advert for a vintage candy bar. I usually remember the vintage snacks advertised in 2000 AD, and I spent most of the last 2000 AD post rhapsodizing about a salty snack called Atom Smashers.